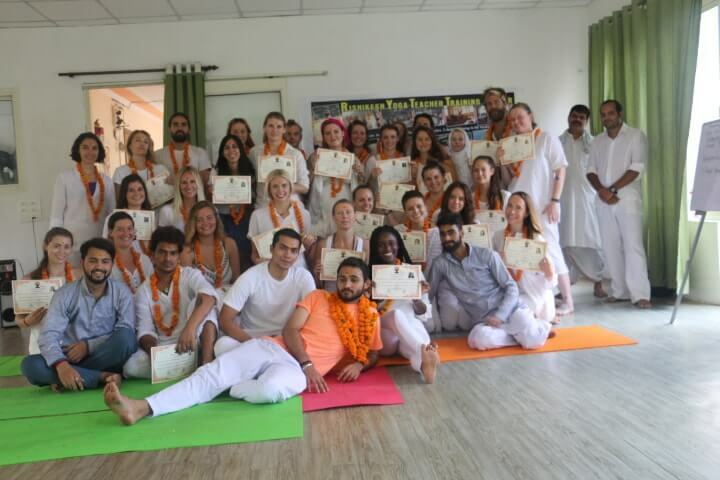 Are you ready to dive and be on the final stage with 500 hour yoga teacher training in rishikesh, India where you can gain all possible acumen and learning about Yoga? Want to enroll for our one of the best and reckoned yoga school in India that is Buddha Yogpeeth? Are you prepared to create a strong and disciplined base of your future practice and teaching? Want to learn from the best and experienced yoga gurus and teachers in our ashram who will help and support in every step in each possible way and become professional practitioners as well as teachers? If yes, you are for sure at the right platform and our ashram has the right blend of positivity, spirit and environment needed to learn and practice the same. Candidates and students who seek for enrolment in our offered 500 hours yoga teacher training course, for the information, we provide back to back 200 hours YTTC and 300 hours YTTC course sessions. It could be challenging though on one end but at the end, it would be rewarding and worth every minute a candidate spend in completing the training course. It is mandatory to complete both the course session in order to be a certified and professional yoga teacher, meeting educational needs. What an individual learns in the 200 hours course will take him or her, further in terms of teaching skills and practice and completion of both of them from the same place definitely assures consistency, better understanding and practice, comfort level and depth needed to understand Yoga. There is no mandate to be a professional to enroll for our 500 hour yoga teacher training in rishikesh, India course. 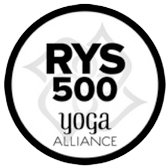 Irrespective of whether you just start learning and practicing Yoga or done it many times earlier, the 500 hours alliance course is suitable for everyone. Anyone could go for the same and we can assure that once the course is completed, you will be an expert. Feel absolutely free and let go all your concerns and worries away, join our love filled, calm and blessed environment in our ashram and feel the inner magic and strength in you all by yourself. Take out some time, learn the dominant styles at both beginners and advanced level in Hatha, Vinyasa and Ashtanga Yoga in our offered 500 hour yoga teacher training in rishikesh, India course, and simply get to understand what self discovery and realization means and how it could impact a person from different aspects. At Buddha Yogpeeth, we are all about letting students learn and grab as much as they can from the Yogis in terms of their living, ancient knowledge, forms of Yoga, techniques to apply and follow and more. Our 500 hour yoga teacher training in rishikesh, India is alliance certified course and is highly recommended to all levels of yoga enthusiasts, practitioners and professionals looking for both beginners and advanced level learning and practicing. Initially, students will be taught knowledge of Yoga, laying a foundation for them in regards of basics of yogic science, asanas, right way of practicing them, about meditation, and other techniques that could fill in the purpose of life for them. Afterwards, taking it to a next level, students will be given guidance in learning advanced forms and practices related to meditation or pranayama, yoga asanas/postures, and everything required to make them realize an immortal self and exploration and all ready to share the Yogic wisdom and acumen with others worldwide. Get the understanding in terms of both learning and practice of Hatha yoga postures, Ashtanga yoga, yoga philosophy, meditation, yoga anatomy, yogic lifestyle, pranayama, adjustment and alignment, teaching methodology, yoga philosophy and more in advanced levels. Improvise yourself from all aspects including physically, spiritually and mentally. The curriculum is devised meeting all national and international Yoga alliance standards in order to become an inspiring certified professional teacher of Yoga. Help to get better at your personal practice and lend an environment needed for personal or professional growth. Develop confidence and conscience and gain tremendous Yogic knowledge and wisdom. Realize the importance of Yoga centric life and inculcate in towards internal evolution and holistic overall well being. The course fee will cover accommodation, Yoga material, Ayurvedic massage, fresh homemade three times meal and tea, weekend excursions, sightseeing trip, and more. If something is required, feel free to let us know and we assure to take care of everything considering it on topmost priority. In all, embark on the pathway of Yoga and evolve to become a professional expert with our 500 hours yoga teacher training program and get the certification. We would love to help you learn and practice and enjoy your living and worth to die for! Looking forward to hear from you!